Canadian Society of Forensic Science Journal - Philippine distributor of magazines, books, journals, etc. 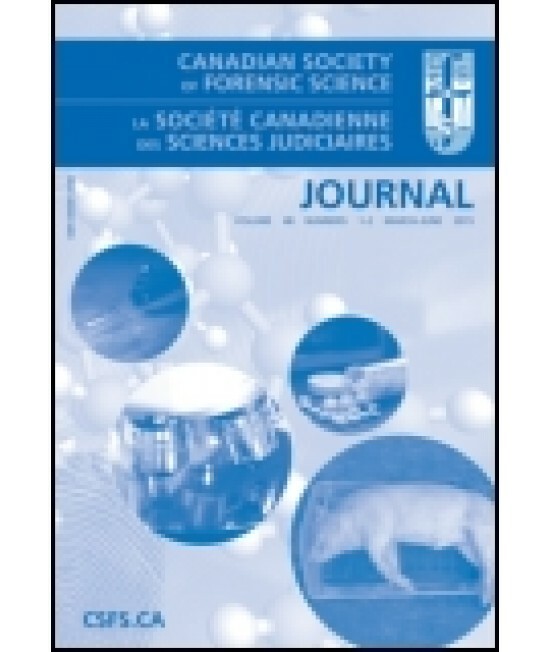 The Canadian Society of Forensic Science Journal is published quarterly and is devoted to the publication of original papers, comments and reviews in the various branches of forensic science. In particular, these are considered to include forensic chemistry, forensic toxicology (including blood and breath alcohol analysis), questioned documents, forensic odontology, firearms examination, forensic pathology, forensic biology (including serology, hair and fibre examination and molecular genetics) and forensic anthropology. Matters of forensic interest in the social sciences or relating to law enforcement and jurisprudence may also be published. The Society, as a corporation, is not responsible for statements or opinions advanced in the Journal.